13 February is World Radio Day — a day to celebrate radio as a medium; to improve international cooperation between broadcasters; and to encourage major networks and community radio alike to promote access to information, freedom of expression and gender equality over the airwaves. 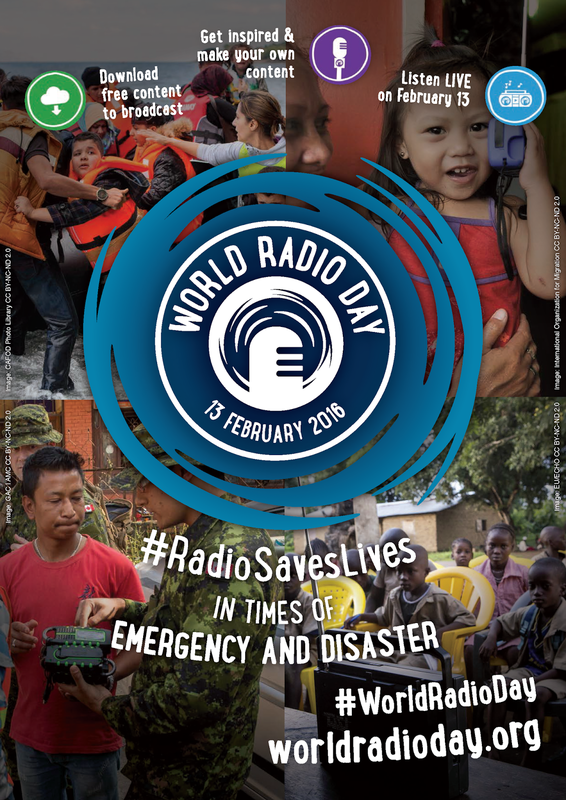 This year, the UNESCO theme for World Radio Day is “Radio in Times of Emergency and Disaster”. Radio still remains the medium that reaches the widest audience worldwide, in the quickest possible time. 1. Freedom of expression and journalists’ safety should be disaster-proof. 2. Radio empowers survivors and vulnerable people, whose right to privacy is to be respected. 3. Radio has social impact and provides access to information. People’s right to information should be protected even in times of emergency and disaster. 5. The immediate accessibility of radio frequencies is essential to saving lives. These frequencies should be protected so they are available in times of emergency. On 13 February, international broadcasters will broadcast live on UNESCO’s dedicated website,www.worldradioday.org. Through National Commissions for UNESCO Field Offices and partner organisations, World Radio Day will be celebrated worldwide. 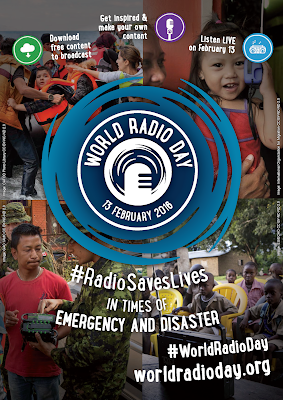 UNESCO will also provide copyright free articles, audio and video messages from opinion leaders, celebrities, and UNESCO Goodwill Ambassadors related to radio for use by broadcasters on World Radio Day. UNESCO invites all countries to celebrate World Radio Day by planning activities in partnership with regional, national and international broadcasters, non-governmental organizations, national authorities, the media and the public. Dare to dive in this pool?